For a festival that can be a hotbed of Oscar-predicting hysteria, the scuttling of the "best popular movie" category by the Academy of Motion Picture Arts and Sciences barely registered at the Toronto International Film Festival. Most were too in the thrall of the 254 feature films unspooling across the festival to much care about the academy's withdrawn bid for a more commercial best picture award. And if the 'popular' film Oscar category was meant as a corrective to a widening gap between mainstream audiences and the movie industry's best work, Toronto — the sprawling centerpiece of the fall movie season — served as one big reminder of just how easily art and "popularity" can mix. Such divisions were hard to delineate in the cacophonous reception, from critics and audiences, to Lady Gaga in "A Star Is Born" or the fervor for the French filmmaker Claire Denis' first English-language film, "High Life," a space drama with Robert Pattinson. 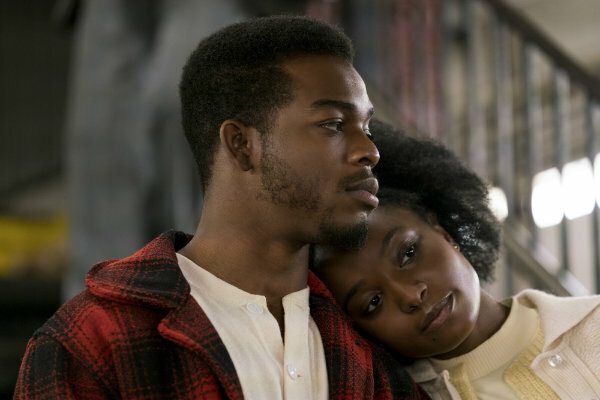 An avalanche of applause met "Green Book," Peter Farrelly's heartening road movie, while crowds swooned for Barry Jenkins' lyrical James Baldwin adaptation "If Beale Street Could Talk." Damien Chazelle's Neil Armstrong drama "First Man" hit Toronto on IMAX. Activism mixed with cinema, from Michael Moore's Donald Trump-era documentary "Fahrenheit 11/9" to the Black Lives Matter-inspired drama "The Hate U Give." "Art is one of our most powerful weapons. And this art form is our most populist art form," said Moore. "This is the art form that just about everybody can afford. You can't afford to go see U2 at the Garden. You can't afford to go see the Knicks or the Giants." Tickets aren't cheap at the Toronto Film Festival, either. But the nearly half a million festival attendees at Toronto are an integral part to the festival's unique atmosphere, spread out across theaters big and small in the Canadian city's downtown. Most other major film festivals cater more to film buyers or industry elite, but in Toronto, the alchemy of movie and audience is an essential part of the proceedings. That's why Toronto's most keenly sought award isn't a juried prize but a people's choice award. This year, it went to "Green Book," the festival breakout that came to represent the particularly crowd-pleasing TIFF. That Farrelly, half of the sibling duo behind "There's Something About Mary" and "Kingpin," was the toast of a prestigious film festival was a surprise even to him. "I once thought 'Dumb and Dumber' was in the Cannes Film Festival but then I learned my brother was just busting my balls," Farrelly joked at his film's premiere. "Green Book," similar in tone to the 2016 Oscar-nominated "Hidden Figures," manages to comment on harsh period realities of racism while remaining comic and uplifting. A kind of "Driving Miss Daisy" in reverse, it stars Mahershala Ali ("Moonlight") as a classical pianist touring the Deep South with an Italian-American bouncer (Viggo Mortensen) for a chauffeur. If history holds (the last ten winners of Toronto's audience award have all been nominated for best picture at the Oscars), "Green Book" will join what's shaping up to be — ironically considering the academy's efforts — an especially populist field of contenders. Also prominently in the mix in the early going are: "Black Panther," ''BlacKkKlansman," ''A Star Is Born" and "First Man." Following its Golden Lion win at the Venice Film Festival and its equally acclaimed bow in Toronto, Alfonso Cuaron's "Roma" may be the fall's most celebrated film. It has many of the hallmarks of the "art film" — a deeply personal movie filmed in black-and-white at a carefully composed remove from its characters. But "Roma" is also a Netflix release, meaning that it will be much more widely streamed than seen in theaters. It's possible that, given Netflix's 130 million global subscribers, as many will have seen "Roma" by the Oscars as those who have bought tickets to "Green Book" or "A Star Is Born." And if the nature of a "popular" movie is shifting because of streaming, the opinion-makers that can shape awards season may be, too. Toronto paid the way for some 180 critics from underrepresented groups in an effort to diversify its press corps. The festival also hosted a women's rally and touted that its lineup featured 35 percent women filmmakers. Among the many standouts was Karyn Kusama's "Destroyer," which stars a nearly unrecognizable Nicole Kidman as a bitter, hard-drinking Los Angeles police detective. Kidman was just one of the many actresses whose sterling, adventurous performances lit up Toronto, including Viola Davis ("Widows"), Carey Mulligan ("Wildfire"), Natalie Portman ("Vox Lux"), Amandla Stenberg ("The Hate U Give"), Melissa McCarthy ("Can You Ever Forgive Me?") and newcomer KiKi Layne ("Beale Street"). Best actress is already looking like the year's most competitive category. "If you look at all the female performances this year, it's crazy how many brilliant roles there are for women," said Mulligan. "So it's definitely moving in the right direction, but to get to parity, it will take longer. People will have to keep beating the drum." "Widows," directed by Steve McQueen ("12 Years a Slave"), encompassed much of what defined this year's Toronto, and then some. Ostensibly a heist movie about a group of recently widowed women who try to pull off the job their dead husbands had planned, McQueen turns the genre thriller into a wide-ranging exploration of gender equality, racial divisions and politics. The filmmaker said he was inspired by 1970s movies like "The Godfather" and "Chinatown"
"They brought the audience with them, as well as brought the sophistication. They catered to the high and to the low," said McQueen. "But I don't think there's any high and low. I think there are just good movies and bad movies, and that's it." Whether the good vibes in Toronto will transfer to the quickening Oscar race or to this fall's box office won't be clear for months. But as a tone-setter, Toronto set a course that could help redefine what "popular" means to the Academy Awards.